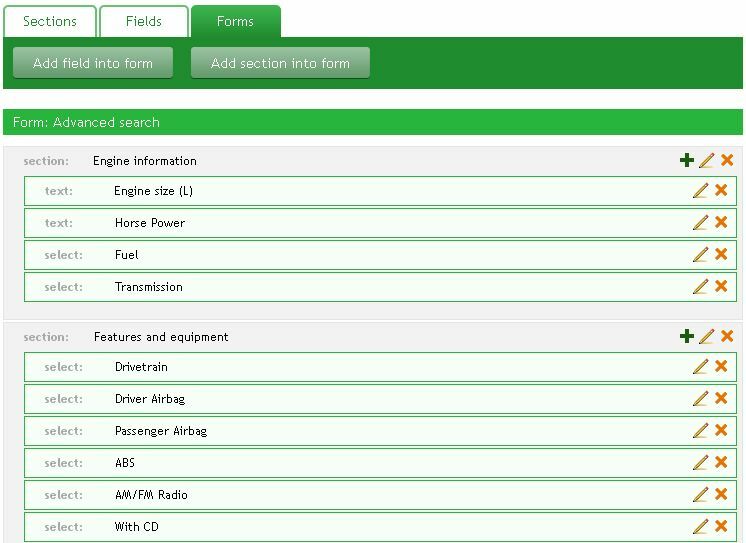 This section helps to customize vehicle listing sections and fields. Below is a list of listing sections. You can add a new section, change sections order, edit section name or remove unnecessary items. 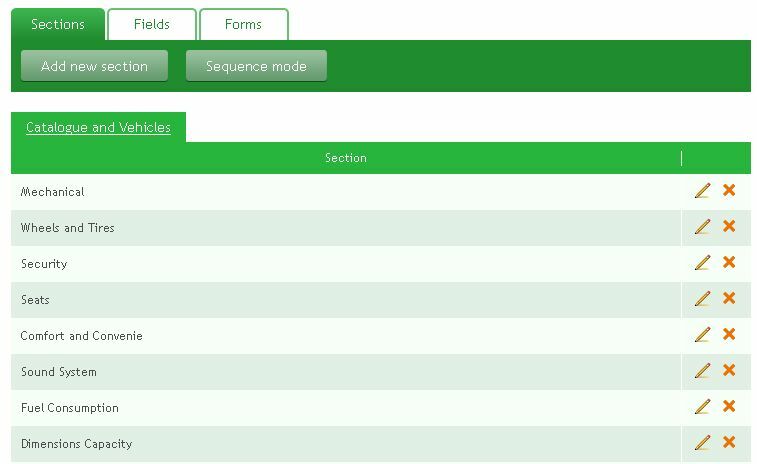 Press “Sequence mode”, drag and drop sections and press “Save sequence” to have the changes applied. 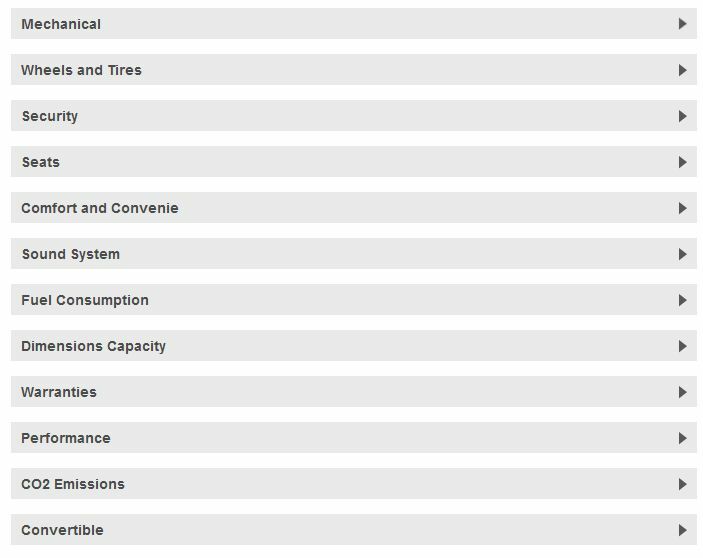 Below is a caption of the same sections in a vehicle listing in user mode. 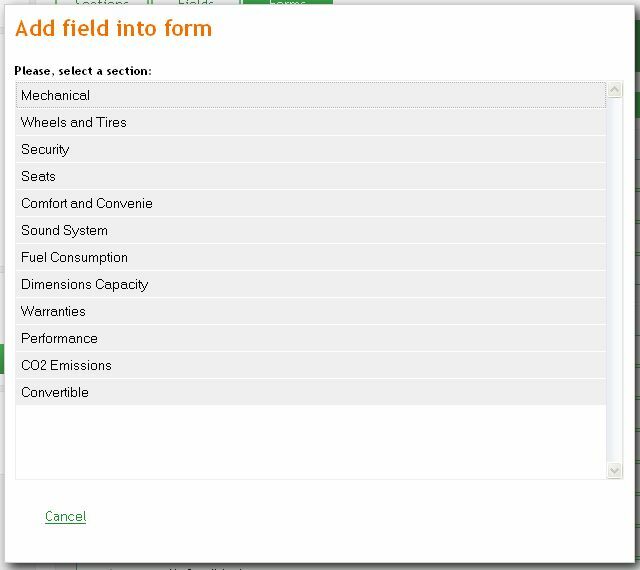 These are “Mechanical” section fields. You can add new items, edit and remove existing one, change sequence. Choose a appropriate section in the drop-down menu to edit its fields. Below is a caption of “Medical” section fields in user mode. Advanced search form. Click “Structure” icon to edit search form fields. 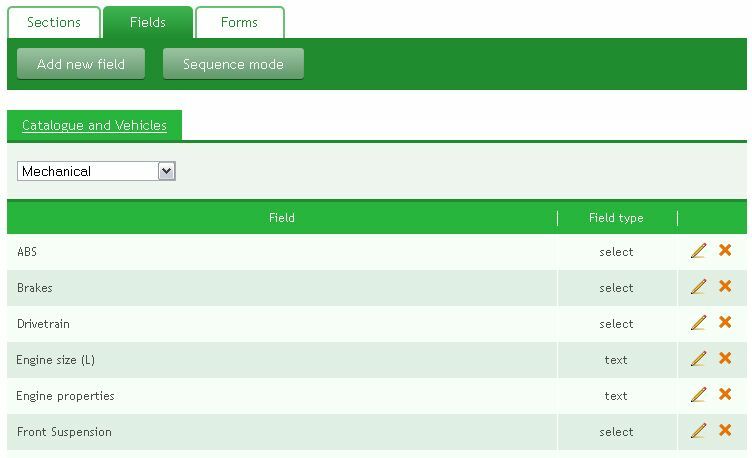 Advanced search form has fields divided into sections. You can edit both sections and fields. Press “Add field into section” to add a new field, choose a section and a field. The item will be added into the search form. Click “Edit” to edit field choice type – single or multiple. “Single” means a drop-down with an option to choose 1 item. “Multiple” means an area to choose several items. Press “Add section into form” button to create a new section name in the search form.